Do I Have to be Good at Math to be an Accountant? 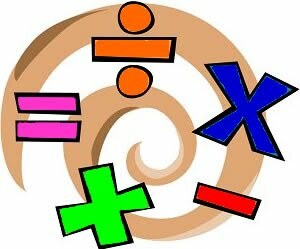 While the public perception of accountants often involves images of harried, vaguely rumpled professionals bent over their desks, peering incessantly at seeming endless, cramped columns of mind-numbing numbers, there actually isn’t that much of a focus on math in accounting. While accountants do need to be competent in math, they also need to have basic computer skills, strong analytical abilities, good interpersonal skills and a talent for effective communication. Ironically, the most difficult math that many accountants face is found in the lower-level math classes they take as students earning their degree at a college or university. Although accountants do handle a lot of numbers in the course of their professional duties, the majority of the math they actually perform themselves is basic. As the U.S. Bureau of Labor and Statistics explains, accountants need to be comfortable working with numbers so that they can examine and interpret figures in the data they gather, but they generally do not need to perform complicated mathematical operations. In today’s technology-heavy world, most complicated mathematical functions are performed by computers. Much like virtually every other professional field, accounting has come to rely on computers. While they do not need to be computer whizzes, accountants need to be prepared to use basic office software to complete daily tasks and communicate with coworkers, managers and clients. They should be especially proficient with the various programs and information technology tools used to accomplish typical accounting tasks. The majority of accounting degree programs now include courses on information technology to help prepare graduates to function successfully in a real-world office. Accountants do gather and organize financial data, but that is just the beginning of their job. By using their skills to analyze and interpret the facts in front of them, accountants transform data into useful information. In the taxation field, this might mean determining how much is owed in taxes, suggesting methods a client could use to lessen their tax burden or pointing out areas where changes need to be made to bring a business into compliance with tax laws. For forensic accountants and auditors, this is more likely to involve reviewing records to find discrepancies and trace them to their source. Sometimes these discrepancies are deliberate and accountants help identify the culprits of fraudulent or criminal behavior. The ability to interact and communicate with others effectively is vital in virtually every area of accounting. Accountants need good interpersonal skills that allow them to interact professionally and diplomatically with coworkers and clients. This is especially true of auditors and forensic accountants who often find themselves facing opposition as they attempt to gather the information they need to perform their assigned tasks. Even accountants who work independently or run their own accounting firms need to be able to interact successfully with other people; clients are unlikely to continue working with an accountant who makes them uncomfortable. The best analysis is useless if it is not understood, so accountants who can communicate clearly and persuasively, translating often-complicated concepts into understandable formats, are far more likely to succeed in their chosen profession. Although numbers may play a major role in their profession, accountants do not need to be mathematical wizards to be successful. Communication, interpersonal, analytical and computer skills are actually more important than math in accounting.